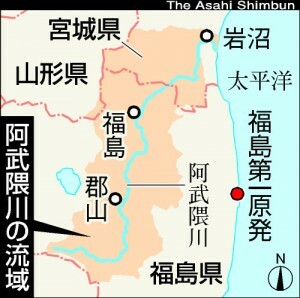 Fukushima local government is dumping the radioactive mud to the nearest major river, Abukuma gawa. Basin area is 5,400km2. More than 1,389,000 people use the water, runs for 239 km. 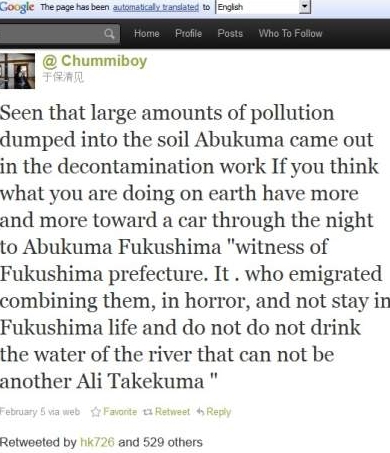 A Fukushima citizen watched lots of trucks go to Abukuma river at night. They came to the river to dump tones of the radioactive mud made from decontamination. He was terrified to think he has to drink the water from the river, decided to evacuate Fukushima.